Set on the dark side of Los Angeles, the masterful new collection from an award-winning and highly praised "natural-born storyteller" (Ron Rash). In these gripping and intense stories, Richard Lange returns to the form that first landed him on the literary map. These are edge-of-your-seat tales: A prison guard must protect an inmate being tried for heinous crimes. A father and son set out to rescue a young couple trapped during a wildfire. An ex-con trying to make good as a security guard stumbles onto a burglary plot. A young father must submit to blackmail to protect the fragile life he's built. SWEET NOTHING is an unforgettable collection that shows once again why T.C. Boyle wrote, "Lange's stories combine the truth-telling and immediacy of Raymond Carver with the casual hip of Denis Johnson. There is a potent artistic sensibility at work here" (on Dead Boys). 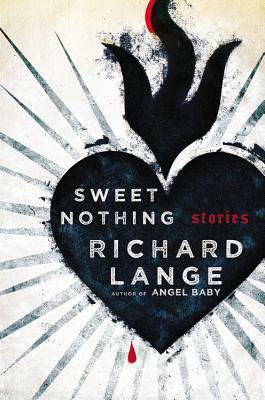 Richard Lange is the author of the story collection Dead Boys, and the novels This Wicked World and Angel Baby. He is the recipient of a Guggenheim Fellowship, and his fiction has appeared in Best American Mystery Stories 2004 and 2011. He lives in Los Angeles.